The history of railways in Tasmania is very comprehensive and since the first train operated in the state during the 1870's it has seen many different locomotive types constructed by a variety of builders, mostly in the United Kingdom. Working for the railways during the days of steam was not easy, with long hours and a busy schedule, crews would often be physically exhausted at the end of their shifts. 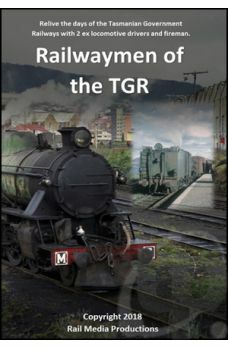 In this production we follow in the footsteps of 2 locomotive enginemen who began their careers with the TGR during the 1950's. We first talk to Lance Carroll who started in 1951 and finished in the mid 1960's before moving onto Arthur Causley who began in 1955 on steam and finally retired in 1992. Many stories are told including the Tunnel near Lilydale, the North East Line with its steep gradients and sharp curves, coal trains on the Fingal, accidents and derailments throughout the state, the procedure of a fireman and eventually progressing through to becoming a locomotive driver both on steam and diesel. Locomotive classes are told in detail including the Q, R, H, M and MA class steam engines. 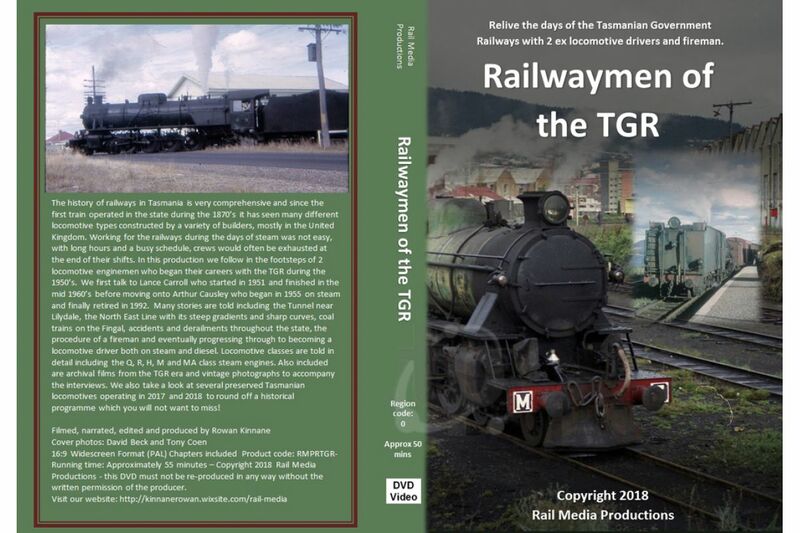 Also included are archival films from the TGR era and vintage photographs to accompany the interviews. We also take a look at several preserved Tasmanian locomotives operating in 2017 and 2018 to round off a historical programme which you will not want to miss!